INEOS, founded by Chairman Sir Jim Ratcliffe, is one of the world’s top 50 largest manufacturing companies. INEOS products make a significant contribution to saving life, improving health and enhancing standards of living for people around the world. Our businesses produce the raw materials that are essential in the manufacture of a wide variety of goods: from paints to plastics, textiles to technology, medicines to mobile phones - chemicals manufactured by INEOS and the fuels we supply enhance almost every aspect of modern life. INEOS formed INEOS TEAM UK in April 2018. It is making the biggest ever British investment in the America’s Cup in an unprecedented effort to bring the trophy back to Britain for the first time since the competition was established in 1851. The INEOS family also includes the iconic British clothing brand Belstaff, Projekt Grenadier by INEOS Automotive, Lausanne Sport Football Club, The Limewood Hotel Group, The Pig hotels and children’s health and welbeing charities GO Run For Fun and the Daily Mile. 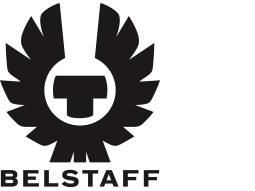 For close to a century Belstaff has been making clothes for men and women who want more from life, to the push the limits. Our iconic jackets had the back of everyone from aviator Amy Johnson to adventurer TE Lawrence and revolutionary Che Guevara. We still make those jackets today - and we still kit out some of the world's most questing individuals - but we make much more besides. 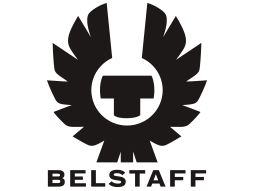 Rigorously designed, effortlessly good-looking and built for life: Belstaff is for people who don't think getting dressed is the most important thing they’ll do that day. 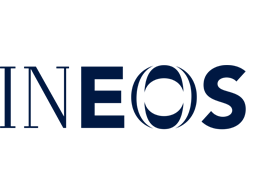 A new automotive brand with an uncompromising vision, INEOS Automotive is on track to produce its first off-road vehicle by the end of 2020, in time for the 36th America’s Cup. 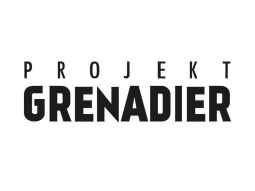 The brainchild of INEOS Chairman Sir Jim Ratcliffe, a keen adventurer and a lifelong fan of rugged 4x4s, ‘Project Grenadier’ has come a long way since the idea was first conceived in The Grenadier pub in London in 2017. Built in the spirit of 4x4 pioneers such as the Willys Jeep, Projekt Grenadier is on course to deliver a British-inspired and designed, expertly engineered 4x4 that’s just at home pulling a plough, leading an expedition or driving up to Buckingham Palace. 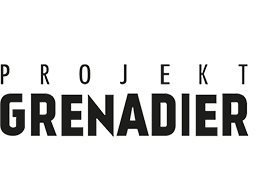 Projekt Grenadier will partner with INEOS Team UK on their journey to New Zealand, with the teams working closely to share ideas and expertise – as well as competitive spirit – along the way. Coderus is a software design engineering firm founded in 1998, based at the high-tech Innovation Martlesham cluster at Adastral Park, Suffolk. Specialising in embedded and mobile design, Coderus provides high performance, high resilience solutions to help businesses make the most of their hardware and tech. Coderus’ work includes app development, embedded software solutions, and creating state-of-the-art platforms and interfaces. Covering the entire project lifecycle, from prototype through to production. Coderus has attained many Design Service certifications with Apple’s MFI Developer, Cypress, Qualcomm and Microchip. Obsessed with quality, Coderus has achieved ISO9001 & ISO27001 accreditations, an ongoing process to ensure that Coderus solutions uphold the highest standards and protocols. HENRI LLOYD was created in the 1960’s by Henri Strzelecki who served as a Polish soldier during World War II and who later settled in Manchester, England. As an active sailor in the 1960s, Henri realised the potential of the “wonder fabric” of its time Bri-nylon. “Mr Henri” as he was to become know in the industry was the first to use the fabric for foul weather gear for yachtsmen by hand taping the seams. A borne innovator Mr Henri brought a number of firsts to technical clothing including the invention of the nylon zipper, the use of Velcro on clothing and pioneering the introduction of GORE-TEX. HENRI LLOYD was created in 1963 and had its headquarters in Manchester until June 2018 when the brand was acquired by new owners. Henri Lloyd Group Ltd is the English parent company, with offices in Manchester and four retail stores along the English coast. 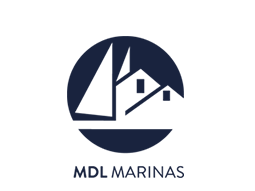 Since September 2018 the Head Office and service functions have been located near the “sailing metropol” of Marstrand in Sweden. Hendy Group, established in 1859, is the UK distributor for Highfield Boats with engines supplied by Honda Marine. Recently appointed as the official RIB partner to INEOS Team UK, the company, which has car dealerships from Eastbourne to Exeter as well as Hendy Power and Hendy Marine divisions, will supply three high-performance, bespoke aluminium-hulled Highfield RIBS designed by Adam Younger to support the team’s 36th America’s Cup Challenge. 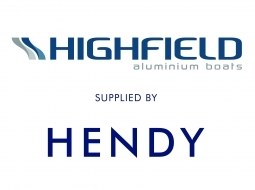 Highfield Boats are the world’s number one aluminium hulled RIB manufacturer; these support boats are set to be delivered in spring 2019 and will travel from the Solent to Auckland for use in the AC36 and beyond. Founded in 2002, KXLife has established a reputation synonymous with being at the forefront of excellence in health, fitness, nutrition and wellbeing. KXLife will provide world class nutritional medicine blood profiles of each INEOS TEAM UK sailor with individual monitoring of their dietary and physical requirements. These profiles are designed by KX’s industry leading nutritional medicine team, who analyses the athlete blood reports to create high performance intake programs that will maximise athlete health, performance and availability.  Since 1997 Bio-Synergy has been dedicated to quality, innovation and authenticity which is why we have consistently won awards and been endorsed by fitness lovers and world class athletes alike. ELG Carbon Fibre provides sustainable, cost effective, high-performance materials to enable weight reduction in the marine, aerospace and transportation markets. The company operates the world’s first and largest carbon fibre recovery plant in Coseley, West Midlands, in the UK. Whilst ELG continues to optimise the patented carbon fibre reclaiming process, their primary focus is to develop and industrialise the conversion technologies to manufacture recycled carbon fibre products that can be reintroduced to the composites and compounding industries. Harken, Inc. is a leading manufacturer and distributor of innovative sailboat hardware and accessories. The real fuel behind a company's success is its people. Peter and Olaf Harken recognized this basic business principle more than 50 years ago when starting Harken/Vanguard. Since those early days, Harken has grown from a backyard dream of two brothers to a global reality with group offices around the world and distribution in 48 countries. Harken gear dominates events like the America's Cup, the Volvo Ocean Race, and the Olympics. Blocks, travelers, winches, and hydraulics are aboard everything from the smallest dinghies to the largest megayachts. Headquartered in Pewaukee, Wisconsin, Harken manufactures in the USA and Italy. Honda has been perfecting its marine technology for more than 50 years; it was the first manufacturer to make all its outboard engines using quieter, cleaner 4-stroke technology and is passionate about better fuel efficiency and performance. Honda Marine engines are rigorously tested and built to last, even on open water. One of the INEOS Team UK RIBS will reach speeds of more than 60mph and Honda’s technology will ensure all three vital support boats can be relied upon in the toughest conditions. advancements in equipment technology to its customers and the industry. Now operating across the world, and with machines in every corner of globe, the company still produces each machine, hand crafted to order, from its factory in the Tuscan hills, just North of Florence. Marlow Ropes operates from a brand new purpose built factory and warehouse, manufacturing quality British ropes on the same site as Thomas Burfield over 200 years ago. Today, Marlow specialises in the design and manufacture of technically innovative rope products using the very latest hi-tech and exotic man made fibres. Chartered accountants and business advisers PFK Francis Clark are based in Dorset and Hampshire. Independent and with strong community roots, we work with our clients, tailoring our services to them and their business. We believe that the relationship with our clients is fundamental to the provision of sound and appropriate advice. You will find us highly professional, friendly and approachable. Winchester Coffee Roasters was launched in May 2012, with Winchester Coffee School soon following in October 2012. Owner Mark Goulding lived for many years in Australia, where his passion for freshly roasted, well prepared coffee started. Winchester Coffee School is well placed to help new and existing business move to the next level. With the UK coffee market evolving over the last few years, there is now a definite thirst for coffee knowledge, and well roasted Speciality coffee. The School sits above our Roastery in Kings Worthy, where we have a state of the art training facility, helping business achieve high standards in coffee excellence. Hovertravel is the world’s longest running commercial hovercraft service and is the only scheduled passenger hovercraft service in the Europe. Hovertravel offers the fastest way to cross the Solent between Southsea, Portsmouth and Ryde, Isle of Wight. Hovertravel operate two hovercraft with a frequent service (plus additional services at commuter times) and the journey time is just under 10 minutes. Pro-Bolt is a family run business, based in the heart of England but our customers are global and include people and companies who demand the best such as the World and British Superbike Teams, chassis builders Suter Racing Technology in Moto 2.